In many circumstances, as you will notice, baby will gain bladder control over time. If the child has no other medical condition then he should be allowed sufficient time to stop bedwetting on his/her own. The first and foremost cause behind treating bedwetting is to stop the embarrassment and fear the child is having and reduce the frustration of the parents. Most children find him/her alone while stopping bedwetting. Family members should support him, share their experience and if possible can ask for help from other families who were having the same problem. Previously a treatment modality was used known as Bladder Training Exercise. In this therapy, the child was allowed to drink large amount of water and asked not to urinate until bladder is distended and became uncomfortable. But now-a-day it is not used as it is very much painful. Not responding to normal sensation of bladder fullness may worsen the problem. 1. Children should take adequate amount of fluid throughout the day. If child becomes thirsty several times during day, it indicates child is drinking less. On average your child should take 100-130ml fluid per KG body weight during a normal day. 2. Your child should avoid caffeine containing food especially during evening and night. It causes production of excess amount of urine within a short period of time. That causes bladder distension and frequent micturition. Chocolate, cola, tea etc. contain caffeine. 4. During school time the child should void 2 to 3 times. They should not hold their urine until the class ends. You may inform the teacher about the problem of your child and ask the teacher to allow him to go to toilet when required. 5. Your child must and must use toilet before going to bed. 6. During the night you should awake your child to void urine. You may try it for 1 time and usually during the middle of night. 7. Encourage your child and give some reward if your child stays dry for several nights. Do not scold them. Most important thing is give your child love and positive support. If the reward system does not work then do not use it. So what is alarm therapy? It is a method used to improve bedwetting problem and should be considered for every child with bedwetting problem. In this process an alarm is attached to child’s pant or pajama. 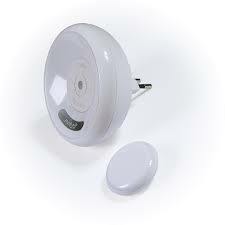 When baby starts to void during sleep or sometimes before voiding, the alarm goes off. With the sound of alarm, child wakes up, goes to toilet to empty rest of the bladder urine and washes him or her. If your child does not wake up with alarm, help him/her. In a randomized control trial of this alarm therapy, two third children showed positive result. Alarm therapy should be used for at least 3 months. 3 months later if this method does not improve bed wetting you should stop trying it. 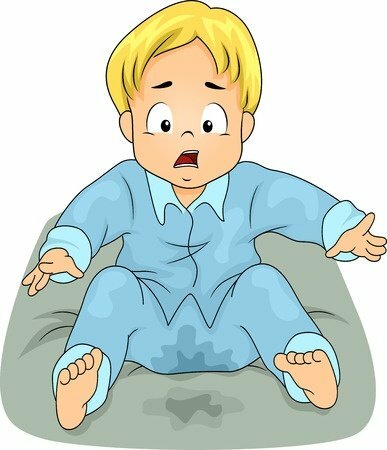 Sometimes after successful alarm therapy, bedwetting may relapse after few months. Now above mention steps failed or your child have other medical condition. Then you have to visit a doctor and do some investigation, take medication for this illness. Desmopressin is one of the available medications for bedwetting. It is a hormone analogue that causes decreased urine output. It should be taken after your doctor advice it. Because it may cause fluid overload in the body. If it is prescribed, take it 1 hour before bed time. Your doctor will tell you the dose and duration. In a controlled trial it showed that combination of both alarm therapy and desmopressin is more effective. Anticholinergic is another group of drugs used in enuresis especially for those children who have overactive bladder or some neurological problem in bladder. These drugs decrease the contraction of bladder. The available drugs in this group are Oxybutynin chloride and tolterodine. These drugs may have some side effects like dryness of the mouth, constipate, visual disturbances etc. Please consult with your doctor before any use of medication. Another drug used for this condition is Imipramine. The adverse effect of this drug is constipation, irritability decreased appetite, mood change etc. But due to significant adverse effect World Health Organization (WHO) is not advising to use this drug now a day. How frequent a child should be evaluated during treatment? There is no fixed rule but a child, during treatment should visit the doctor in every 3 months. In each visit doctor will ask you about the improvement, number of dry nights. If after best possible effort, bedwetting is not improved then the child should be further evaluated by an urologist or nephrologists. Available alternative treatment for bed wetting. There are some alternative methods available to prevent bedwetting. But these methods are not scientifically proven nor done on evidence. Some of these methods are used for many years. You should ask your doctor before using any of this method. Because some of these methods may worsen bedwetting. 1. The bedwetting condition is curable. 2. You should not criticize your child for bedwetting rather encourage him. 3. If the child has no other medical condition try home treatment mentioned earlier for bedwetting. 4. If home treatment failed after 3 months or baby has any medical disease consult with your doctor. 5. Most important thing is never take any drug without permission from your doctor.